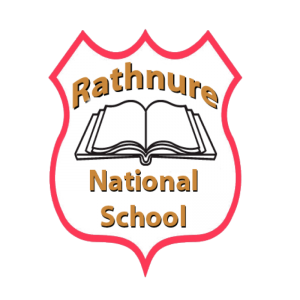 We see sport and physical education as a very important part of our school life here in Rathnure NS. We engage in a lot of sport, both competitive and recreational. We enter the Rackard League and Mini 7’s competitions and have fun sports days during the year. Our School takes part in a cycling initiative each year in the last term. This aims to develop the basic skills required to ride a bike. The main areas of skill in cycling are; pedalling, balance, breaking and cornering. During the summer months we encourage our older pupiils to cycle to school. We haver erected signs like this around the area to ask motorists to be mindful of cyclists on the road. The children must wear helmets and high-visibility jackets when cycling to school. We have a strong tradition of GAA in our parish, and this is very evident through the young up and coming players who play on our school teams. In recent years we have experienced huge success in both hurling and football competitions. The most important thing about sport is that it is simply good fun! We have lots of fun at our sports day each year when we enjoy alternative activities like egg and spoon races, sack races and three legged races! We also encourage parents and grandparents to come along and join in our fun! We are very lucky to be able to use the facilities of the GAA club arena. We use it for GAA coaching and for PE lessons when the weather doesn’t allow us to go outside and when we need more space than the school hall allows. song or play a tune is a great way to build confidence and is no extra load to carry. Our pupils enjoy a range of activities in our school to develop and enhance their musical abilities. For a number of years, the senior pupils in our school travelled to the RDS in Dublin to participate in the Halleliua concert. They enjoyed the opportunity to sing with pupils from schools all over the country. In November ’15 our senior classes performed in the Wexford Opera House in front of a packed auditorium with other schools from Co. Wexford in the Sing Out Loud Concert. Our teachers Taragh Nolan and Lisa Wheelock offer music lessons to our pupils after school one day a week. Pupils can learn tin whistle, guitar, violin and can also avail of singing lessons. The children really enjoy these lessons and often perform at events both in and out of school. In recent years, each Christmas our school has put on a performance entitled Carols by Candlelight. All classes sing a Christmas Carol to enhance the nativity story being told. The audience can enjoy both group and solo performances as well as instrumental interludes.